“Dis-” is a Latin prefix meaning “apart,” “asunder,” “away,” “utterly,” or generally having a negative or reversing force. Both disasters and discards have the same privative character, one of undoing or doing away with. Yet the links between disaster and discard go beyond the etymological. Not only do natural (and unnatural) disasters produce a lot of waste, they are also extreme but oddly quintessential events where practices, behavior, and cultures around waste and wasting, as well as their inverse–repairing, fixing, and rebuilding–move to the fore. In the weeks proceeding and following the one year anniversary of Hurricane Sandy making landfall in New York City, Discard Studies will feature a series of articles about the complexities of disaster and waste, broadly defined. 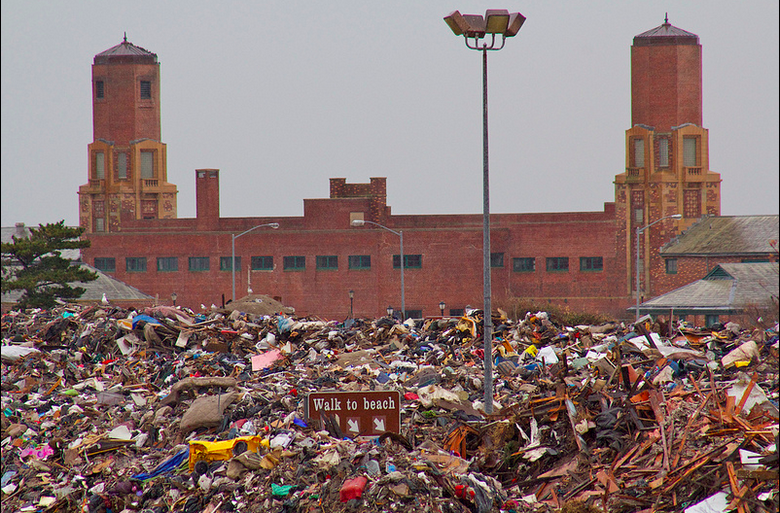 This article looks at the material nature of waste during disaster. The waste produced by disaster comes in all shapes, scales, and degrees of danger. In New York City after Hurricane Sandy, there were four million cubic yards of what is called “disaster debris.” But this is far less than the waste spawned by Hurricanes Katrina and Rita along the Gulf Coast — more than 100 million cubic yards, the most for a disaster in the United States. Because of the glut of waste– both the extreme volume and they way it occurs in a single moment–there is a crisis in both time and space for this waste. Hoboken, fore example, generated as much as 570 tons of trash and debris a day, compared with a normal daily load of about 60 tons. Where to put it, especially in an area like New York City, where open space is scarce? For Sandy, the NYC Department of Parks and Department of Sanitation opened up Jacob Riis Park as a temporary “short dump,” a short-term staging location for moving waste to immediately before deciding how to handle the waste in the long term. Post-Sandy “short dump” at Jacob Riis Park. November 13, 2012. Photo by Michael Anton, DSNY. 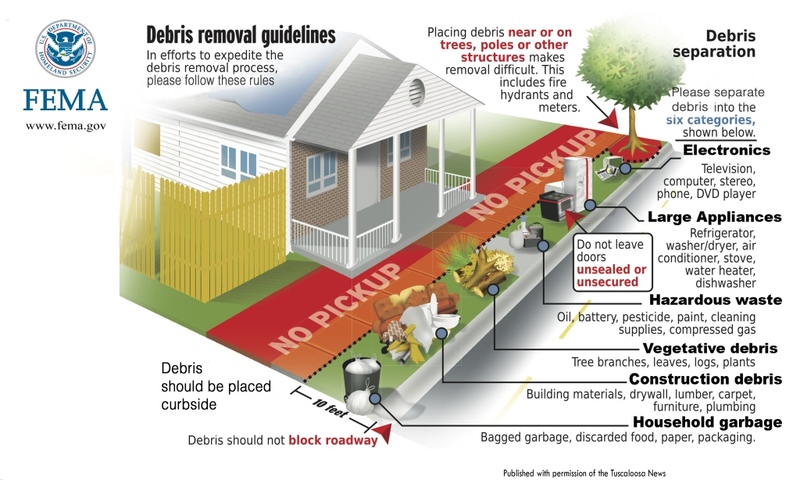 The sheer volume of debris, paired with the imperative to move it out of affected areas and into the short dump as soon as possible, made sorting waste effectively impossible. Recyclables, toxic household waste, and hazardous waste were mixed together. In any case of disaster, officials have to decide whether to prioritize expediency or nuance in their approach to disaster waste. Is there time and space to sort the waste after collection? In some cases, disaster debris cannot comply with state or federal regulations premised on the ability to separate toxic from non-toxic waste. The very character of disaster is that categories and practices designed in everyday situations do not hold for crisis situations. Detail of waste at Jacob Riis Park short dump for debris from Hurricane Sandy. 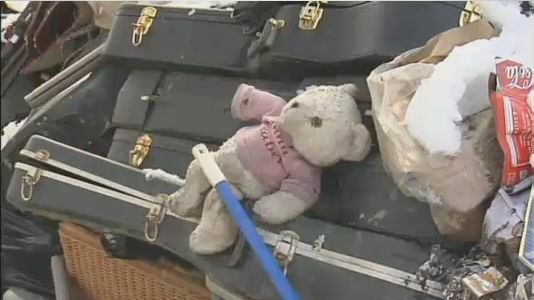 Image from NY1. The case of 9-11 memorial at Freshkills is an extreme but core example of the complexities of disaster debris; it is never trash, or never completely so. Disaster debris is one of the physical manifestations of the tragic elements of disaster, where loss is not just acute in its physical forms, but also in its psychic dimensions. Max Liboiron is a member of the Superstorm Research Lab and has been researching the effects of Hurricane Sandy on New York City for the past year. Nagle, R. (2010). 1 To Love A Landfill. Handbook of Regenerative Landscape Design, 3. 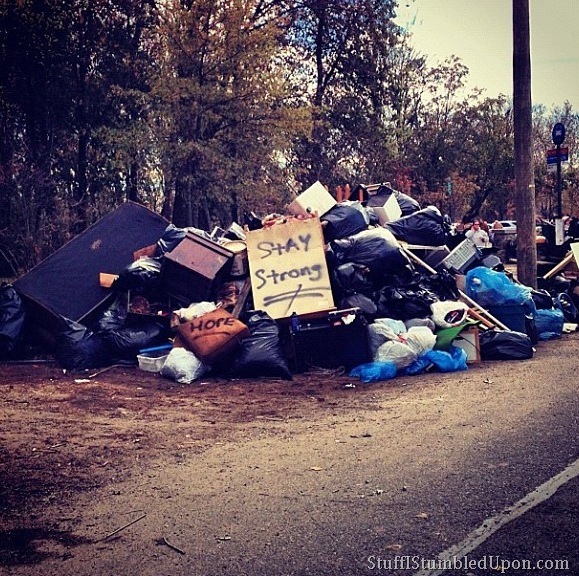 This entry was posted in Archives, Death, Disaster, Sanitation, Urban, Waste and tagged disaster debris, disaster trash, hurricane sandy, Jacob Riis Park, memorialization, New York City, New York City Department of Sanitation. Bookmark the permalink.